I have invested in a Canon EOS D500. Otherwise known as 'my baby'. I got it two weeks ago and have just been playing around with it really! I took it to the Aussie Event but that was the first actual time I had used it so excuse the bad pictures! I tried my best! I have always been interested in photography and I wanted to invest in something conveniently before christmas so that I could get some help with the financial side from the rest of the family :) I do photography club at university and I am on the student newspaper for the photography and gigs section so I needed something simple for beginners but able to do pretty much all that is required. I LOVE THIS CAMERA! Its so easy to use but also so gorgeous with every shot it takes! I take such good care of it because I love it to pieces! And I really want to get some stunning images for my blog so that I can develop my posts as much as some of my favourite bloggers! What camera's do you all have? Image above is not my own, from google images - its just pretty. 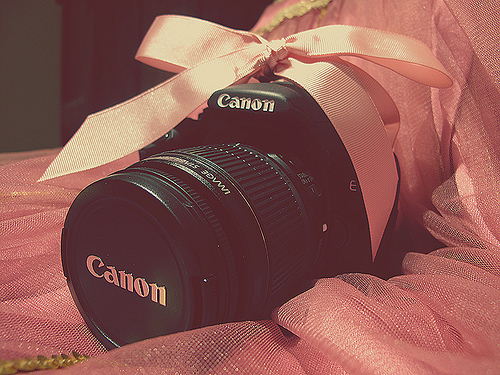 Ahhh...congrats on the camera :) I use a CANON for my business & absolutely LOVE it to pieces ♥ Happy holidays!!! Can't waita see your shots, get some up! xo. Hi there! This is lovely! What a nice blog you have, great inspiration! wow, what a beautiful looking camera! What a beautiful camera. I really love it. Love your new "baby"! I can't wait to see some of the pictures you take with it! Lomography cameras are great! Its a bit of a pain when you have to get film developed and upload tje, through scans, but love the effect! Lovely camera and good idea. I love photography too but recently i just got brought a simple samsung camera and it does the job and takes good photos. Awh maybe you will be ready to do it in your second year? My camp was pretty cool, but you do end up sleeping in tents alot and there's all kinds of creepy crawlyies but if your not too bothered about that you will love it! I'm doing Education Studies & Early years in Leeds! So it was perfect experience for me.